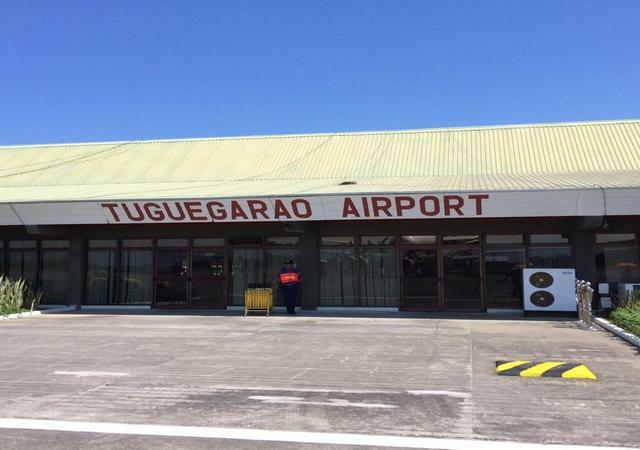 This is a 12 Days / 11 Nights Tour That starts from North of Luzon to Visayas Region where you will be experiencing all the adventure tour all throughout. 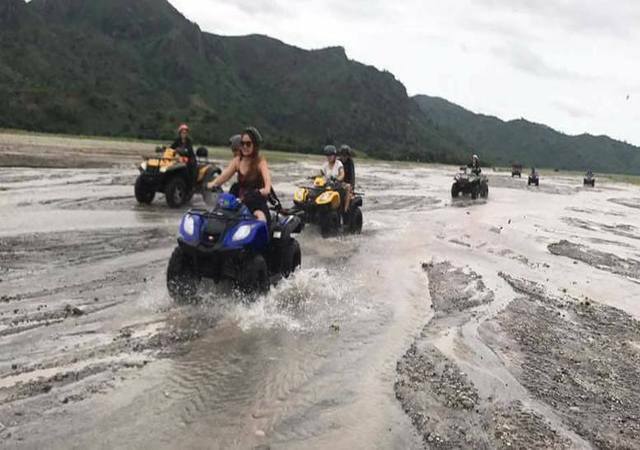 Php 55,700.00 per person for 12 person based on double/twin sharing for Tour Route: MNL-TUG-TINGLAYAN-MALIGCONG-SAGADA-ANGELES-PINATUBO-BUSUANGA-MANILA. 0700 am Visit Tinglayan (30 minutes via jeepney plus 1 hour hike per way). 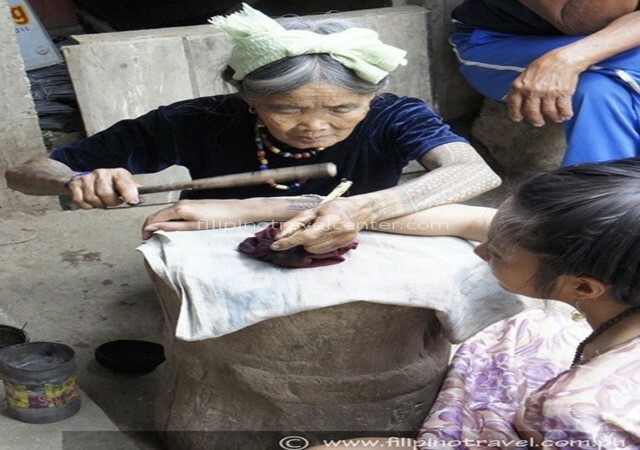 Tinglayan is a home for tattooed women and warriors that are common in all Kalinga particularly the tribes of Bangad, Basaso, Botbot, Tinglayan and Sumadel. 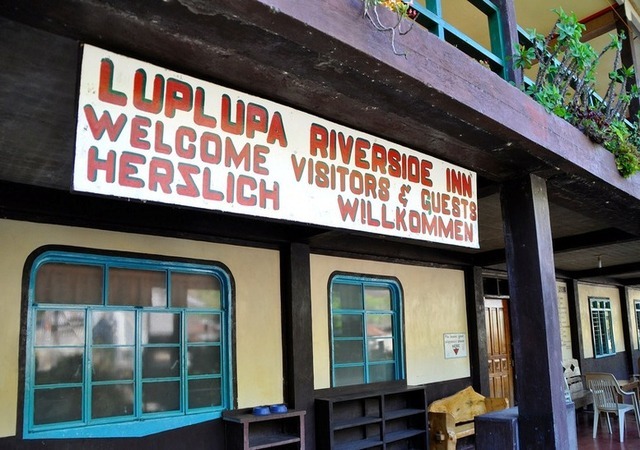 There are 30 Villages that make up the town and the most prominent is the village of Buscalan where the great Whang-od (Fang-Od), the oldest and the last surviving hang tap tattoo artist lives. We can meet or get a tattoo from this legendary woman. 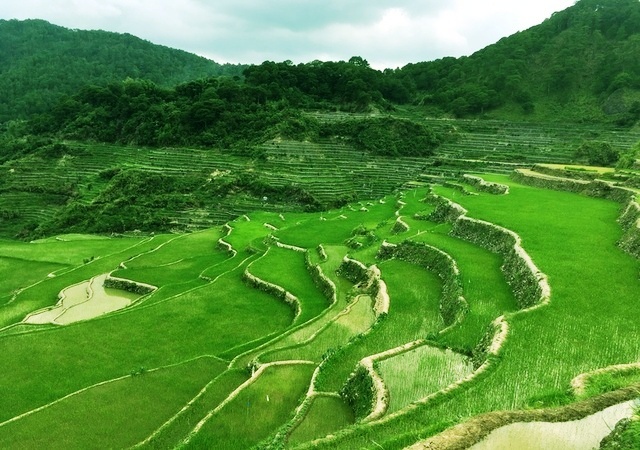 In the Afternoon we walk/hike around the area, lunch with local family and enjoy the rice terraces, hot spring, and waterfalls. After the tour we proceed by jeepney (2 hours drive) to Sagada. 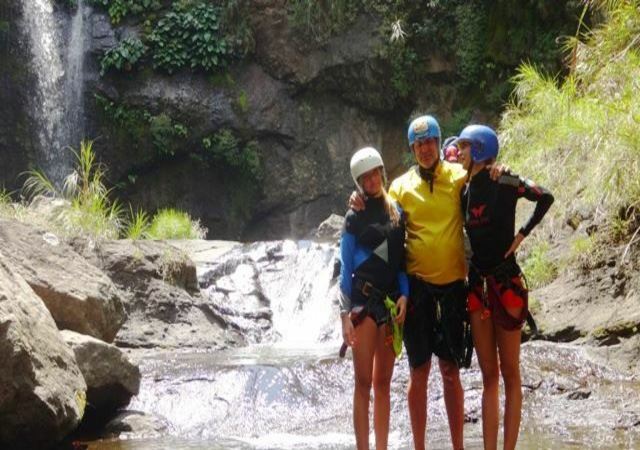 Day 3: Canyoning Tour ( The group will be divided into two as Canyon trips organizer can only handle 6 persons. Day 3 group 1 and the next day for group 2 or the other way around). 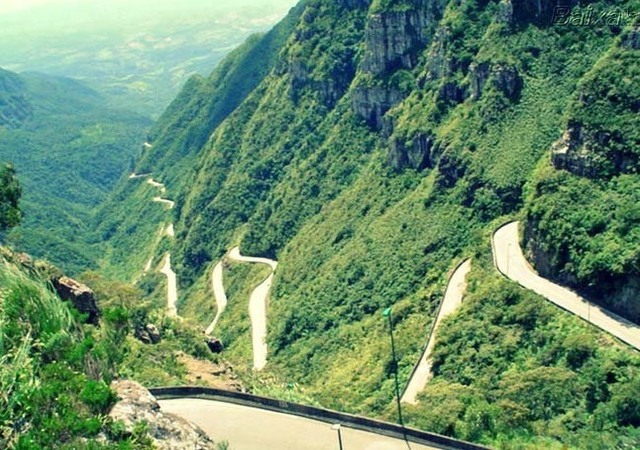 Canyong trips are typically available from October to May. The Canyon is closed during Rainy Season or storms due to flash flood potential. Canyon trips leave Sagada at 0730 am, though larger groups may prefer to leave earlier to assure transit before dark. We drive 15 minutes to the village of Balugan then walk 1.5 hours to the canyon, past vegetable farms, an isolated village, some of Sagada’s least visited rice terraces, and pine forest. 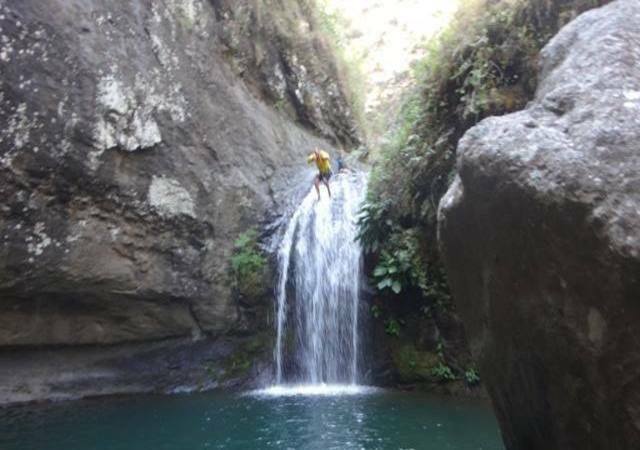 Once in the canyon we descend a sequence of waterfalls, rappeling, jumping and scrambling. Transportation, equipment, guides, lunch, and water are provided. Life jackets are provided for non swimmers. 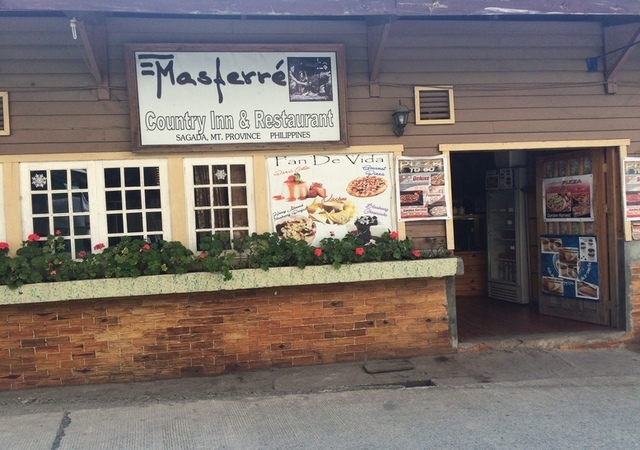 Overnight stay in Masferre. 0800 Departure and we will visit first in Maligcong Rice terraces by jeepney (4-5 hours tour including 3 hours drive) probably the nicest rice terraces around and in the afternoon we go back to Sagada and visit its ancient burial caves and mummified coffins at Sugong and Echo Valley. 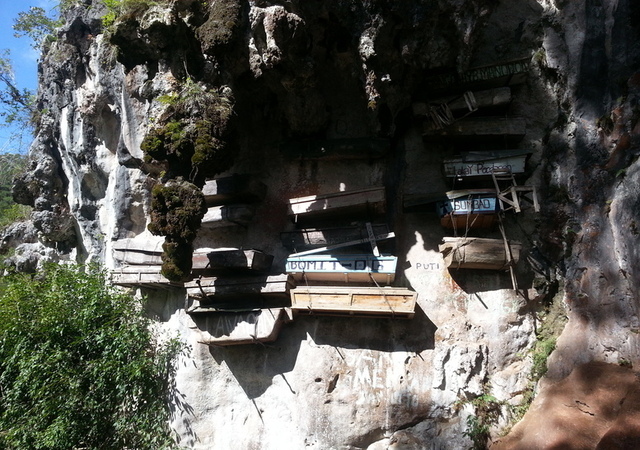 Under guidance of a local English speaking guide you will glimpse Lumiang Burial Cave which houses more than 100 coffins are stacked in the entrance; the oldest is around 500 years old. Many of them have images of lizards carved on them which is a symbol of fertility and long life. 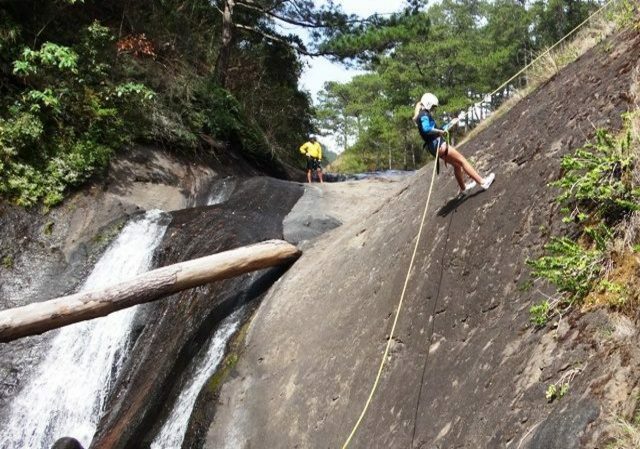 A trip to Sagada will never be complete without trying their extreme activities, especially Cave Connection. This is spelunking in both Sumaguing and Lumiang Caves for roughly 3-4 hours. 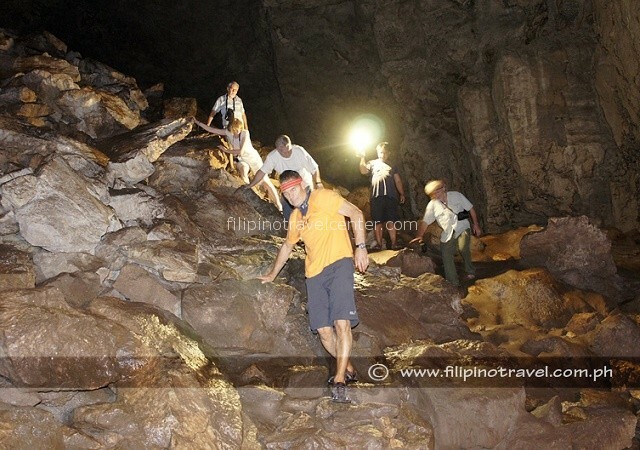 Sumaguing has the largest chambers among all the caves in Sagada that is why it is famous. Overnight stay in Masferre. Mummified coffins Tour can be skipped, this tour takes only 30 minutes. Leave at 0800am after breakfast for the summer capital of the Philippines Baguiio, a 5 to 6 hours scenic drive using aircon minivans along the Halsema Highway (called the “mountain trail of Benguet”) and its wonderful photo opportunities. 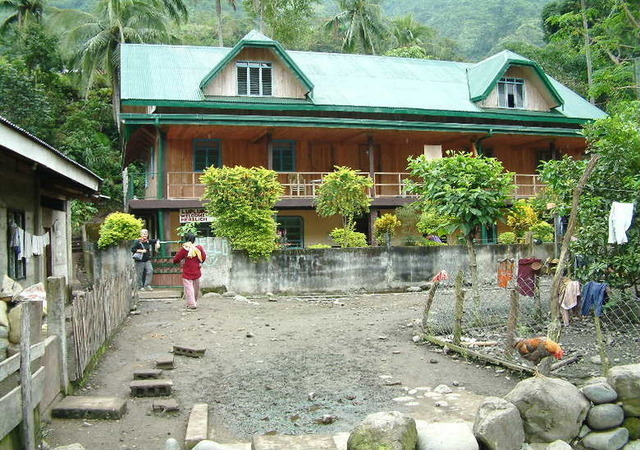 Underway (optional and if open) we can include a visit to Timbac Cave and see the mummies of Kabayan. 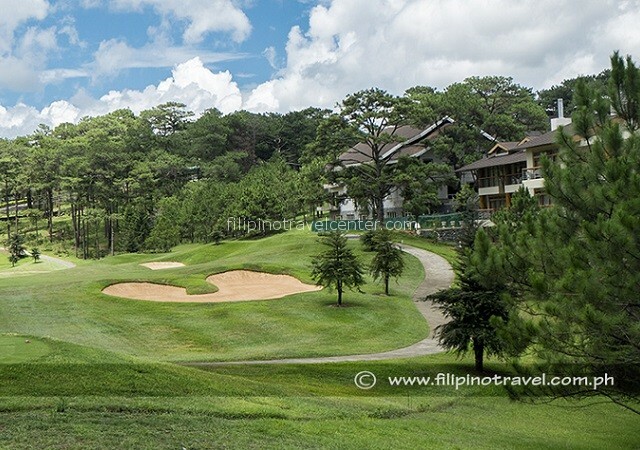 We will take our lunch at Camp John Hay area before proceeding to Angeles and drive for another 4-5 hours. Overnight stay in ABC hotel. Mt. Pinatubo Crater Hike Tour, After 600 years of silent of Pinatubo suddenly erupted in 1991, hurling ashes and debris as high as 50,000 feet into the atmosphere. Considered the largest eruption of the 20th century, Mt Pinatubo is now dormant, having left spectacular lava sand formations. We use the ATV to drop off point and then it’s a (1 hour walk each way) to see the crater lake. The terrain is relatively flat until the last 20 minutes where we ascend to the rim of the crater lake using a single trail. 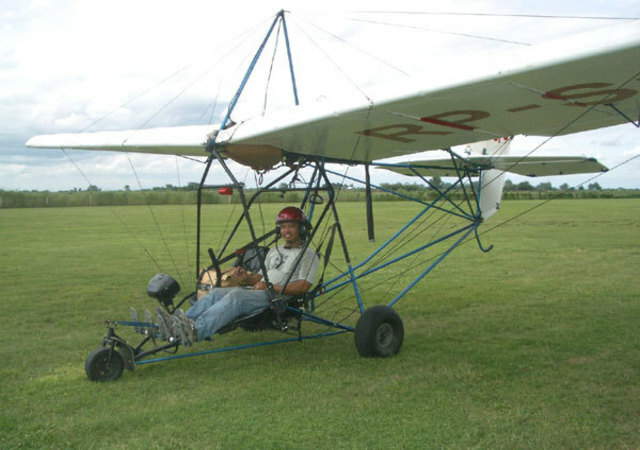 In the afternoon we can fly an ultralight plane with trial instructional flights (TIF). Take the controls or just enjoy the view. Experience the fun and excitement of open cockpit flying! You fly safe with our qualified instructors. 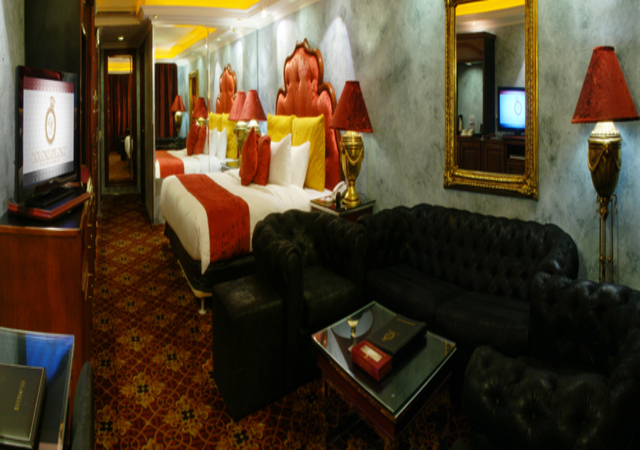 Overnight stay in ABC Hotel. 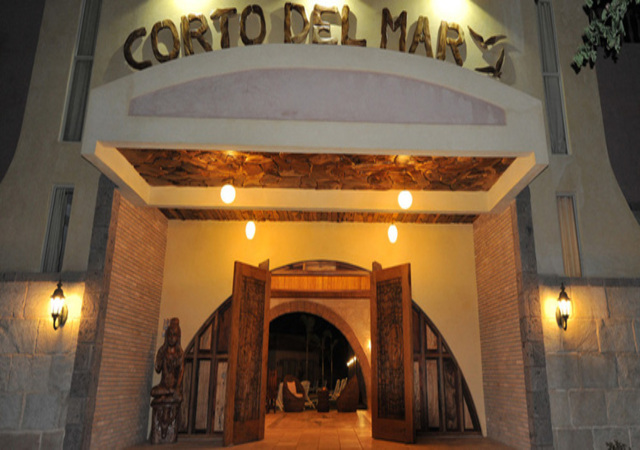 Take a flight to Coron and stay in Corto Del Mar then visit the maquinit hotspring in the afternoon (transportation going to the hot spring is own arrangement. 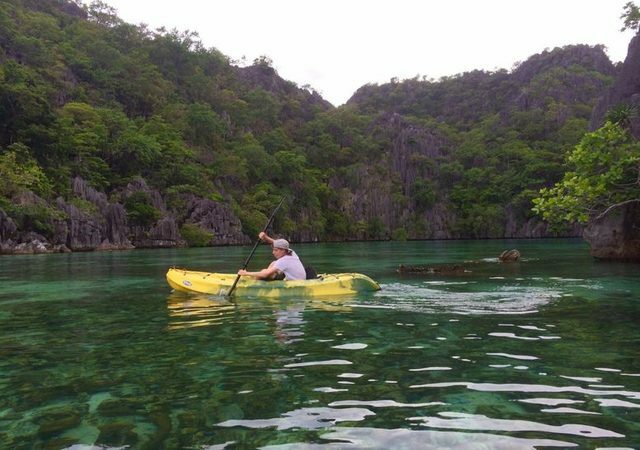 Go to Native like the seafaring Tagbanua, paddling your own kayak at your own pace but with the assurance of a high degree of professional organization and support that leaves little to guess work. 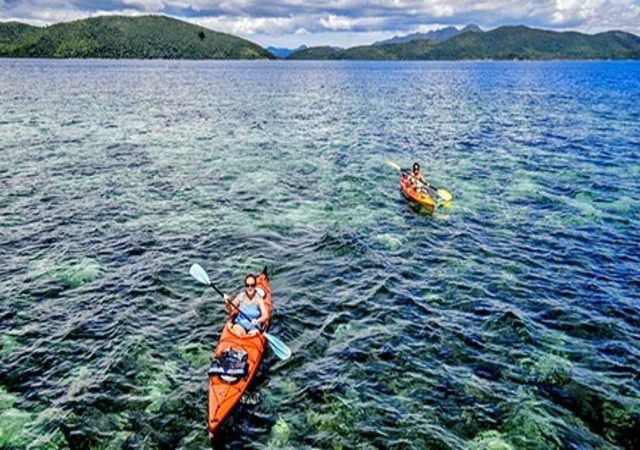 Tap your Robinson Crusoe instincts and do what the Tagbanua of the Calamian Islands in the Western Philippines have been doing for centuries; paddle a tropical sea paradise described by the late Jacques Cousteau ” The last frontier”. The Calamianes number some 220 islands and all of them are accessible by kayak if you have a year to spare. As you paddle from island to island in small groups, staying in the budget tented camps, you’ll be emulating the “thread lightly” approach of the Tagbanua and sending a strong message endorsing low-impact interaction with a “last frontier” environment. 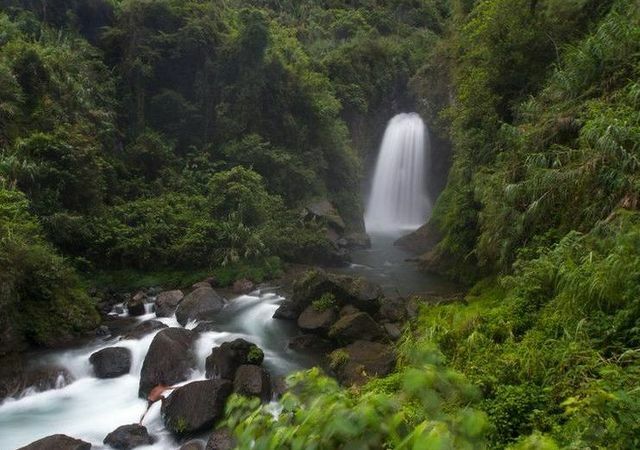 Yes, you will experience spectacular tropical wilderness scenery, perfect paddling conditions, exhilarating snorkeling, wild primary rain forest, and golden, empty spiritual hub of the local Tagbanua people, who gather swallows’ nests from the island’s limestone caves. 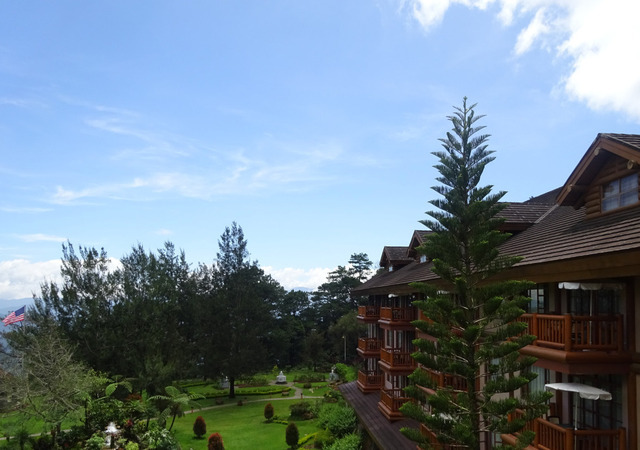 We drive from Angeles to Batangas (5 hours and take a banka to Sabang (2 hours) and stay in Oceanside Villa which is a 6 bedroom split-level luxury villa with wide open views of Dalauan Bay and Puerto Galera Bay. The house ids of dramatic and somewhat an unorthodox design, and most of the bedrooms have spectacular “wake-up” views. Solar water heating is provided, and is served with town water and power. A large water storage tank and standby generator provide back up in case of water or power interruptions. 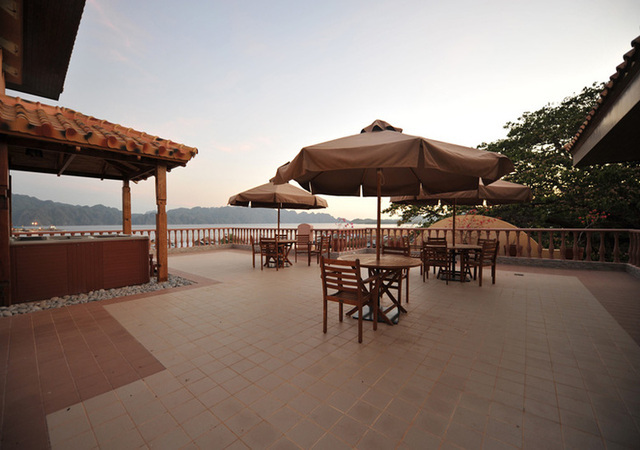 Multi-channel cable TV is installed, and guests share the complexes many watersports facilities. The house comes with help for cooking and shopping. Just instruct and pay for the groceries/drinks. 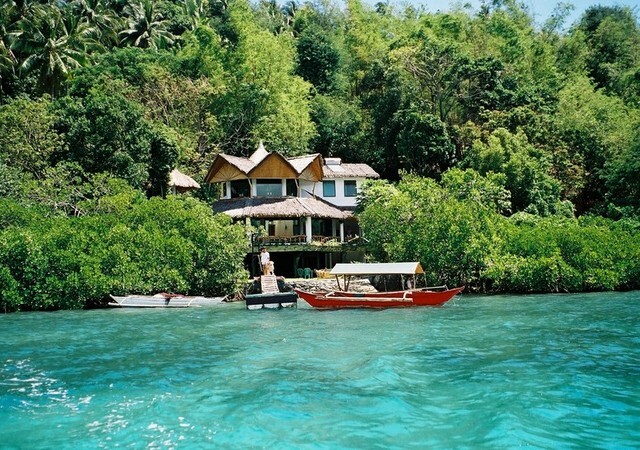 Or you can have dinner in Sabang town (30 minutes away). In the evening there is a night entertainment in Sabang (20 minutes by tricycle) or you can just laze around the house and enjoy the view. 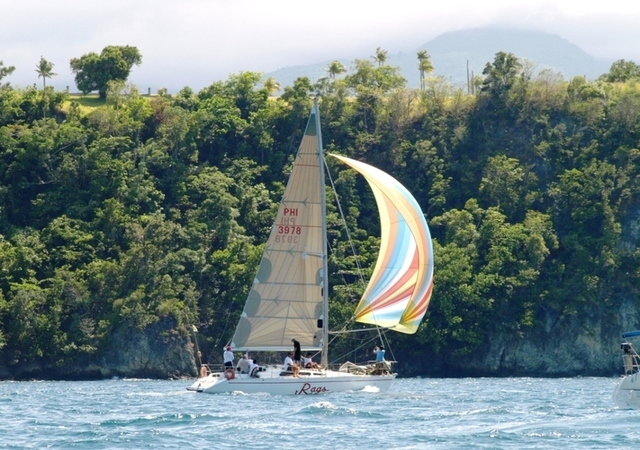 Or you can visit for a drink or meal at the Puerto Galera Yacht Club just across the Bay. 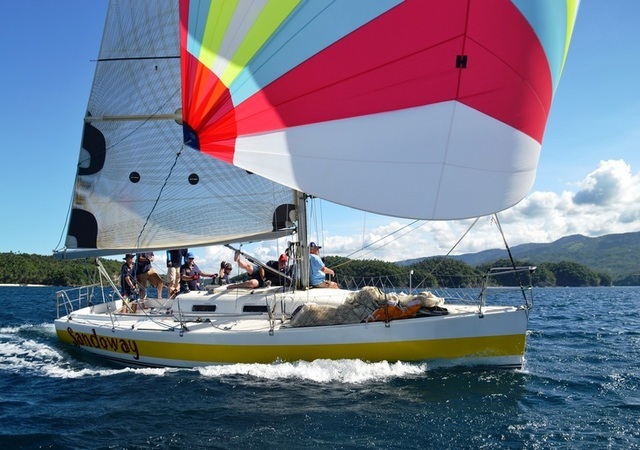 Further there is sailing yacht at your perusal with 2 crew on board. You can join the sailing or just lazy. Snorkeling and fishing options.